On arrival at the airport clients will be met by a Maasailand Adventures representative, briefed and transferred to the Crowne Plaza Blanchardstown hotel, Dublin. After lunch, go for a half a day tour of Dublin including the Custom House, Dublin Castle and St. Stephens Green. Dinner and overnight stay at the hotel. After breakfast depart for Kinnitty arriving at Kinnitty Castle in time for lunch. 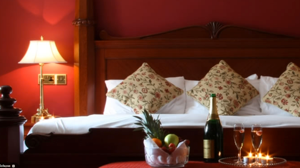 After check in and lunch at the Castle, depart for a tour of Kinnitty including visits to Birr Castle Demesne, Tullamore Dew Heritage Centre, Birr Heritage town, Belverdere House Gardens and Clonmacnoise. Dinner and overnight stay at the Castle. After breakfast depart for Roscrea arriving at the Racket Hall Country Hotel in time for lunch. 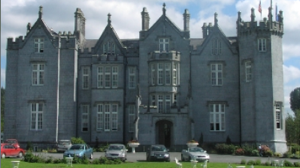 Check in at the hotel and after lunch depart for a tour of Roscrea including visits to Damer House, Roscrea Castle and St. Cronan Church. Dinner and overnight stay in at the hotel. After breakfast, depart for Moneygall, President Barack Obama’s ancestral home on his Mother’s side. In Moneygall you’ll be taken on a tour of President Obama’s ancestors connections including the school where Joseph Phoebe Kearney are likely to have attended church service there, The church where Joseph and Phoebe Kearney brought at least two of their children, William and Mary Anne. The tour will end with a visit to the now famous Ollie Hayes pub for some drinks and a light lunch. Depart for Cork arriving at the Imperial Hotel late in the evening in time for dinner. Overnight stay at the hotel. After breakfast depart for a day’s tour of Cork including a visit to Glengarrif Bamboo Park, Shandon Bell, the Ewe - Gallery & Sculpture Gardens, Middleton Distillery & Cork Butter Museum. Lunch is optional! Dinner and overnight stay at the hotel. 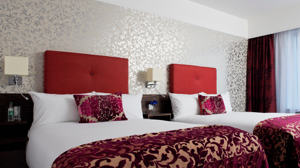 After breakfast and check out, depart for Galway arriving in time for lunch at the Radisson Blue Hotel. After checking in and lunch, relax. Dinner and overnight stay at the hotel. After breakfast depart for a day tour of Galway including visits to Athenry Castle, Coole Park, Dunguaire Castle and Spidal Craft centre. Lunch is optional. Dinner and overnight stay at the hotel. After breakfast depart for Dublin arriving at the Crowne Plaza Blanchardstown Hotel in time for lunch. After check in and lunch, depart for an afternoon tour of Dublin including a visit to the G.P.O., Trinity College, St. Patrick’s Cathedral. Dinner at the Johnnie Foxes pub, the highest pub in Ireland. Overnight stay at the hotel. Tour of Ireland! Go you may, but come you must! calls, personal costs, bank transfer fees etc.